In this week movement in commodity market is very low on morning session. Similar trend is also followed on Wednesday; today bullion is open on opposite site at Multi commodity exchange. 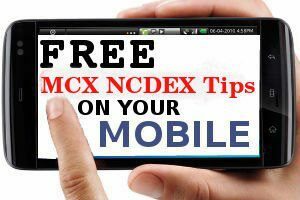 MCX gold for future trade opens in down side at 26400 and touches an intraday high of 26618. “The trend is unclear so gold is just following the dollar said by Peter fung , head of fung precious metal at Hong Kong . If we talk about silver a mixed trend are seen on silver, on Wednesday morning it open at 41150 for future delivery and touch an intraday high of 41171 and low of 40905. On evening trade precious metal are advised to trade safe, movement is not very clear and volatile at MCX. Some negative fall is looking to seen on white metal below 41000. On evening trade base metal is suppose in bullish side with low trend, today lead for future delivery gained 0.74 percent on domestic demand. On intraday trade at MCX lead prices touch an intraday high of 122.90. On evening trade a positive smell are comes from metal especially from lead, copper and nickel.